The HTML-to-PDF conversion is one of the most frequently used and fundamentally important operations provided by Adobe Acrobat. However, for some reason, the conversion settings are really hard to find in the user interface. The HTML conversion settings are not accessible from the same place as the settings for all other file formats (via “Edit > Preferences > Convert to PDF”). 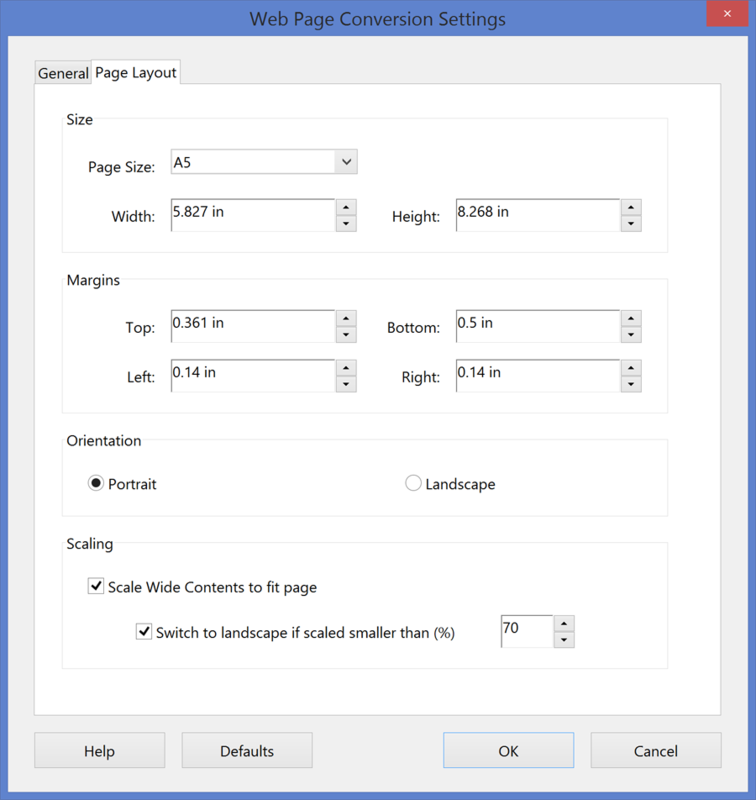 "How do I change the resulting PDF page size?" is probably one of the most common questions asked by the users who create PDF files from HTML files or web pages. 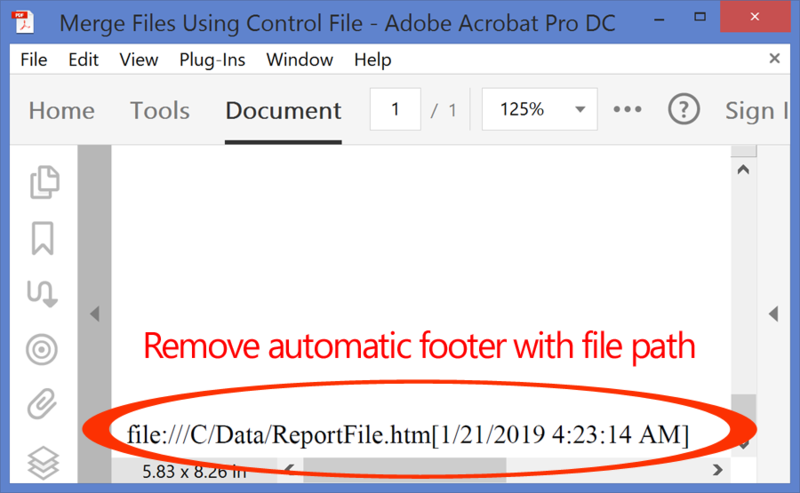 Quite often users try to change the default printer settings or adjust Acrobat Distiller parameters, just to find that it has no effect on HTML-to-PDF conversion. Use the following instructions to configure the HTML-to-PDF conversion parameters. 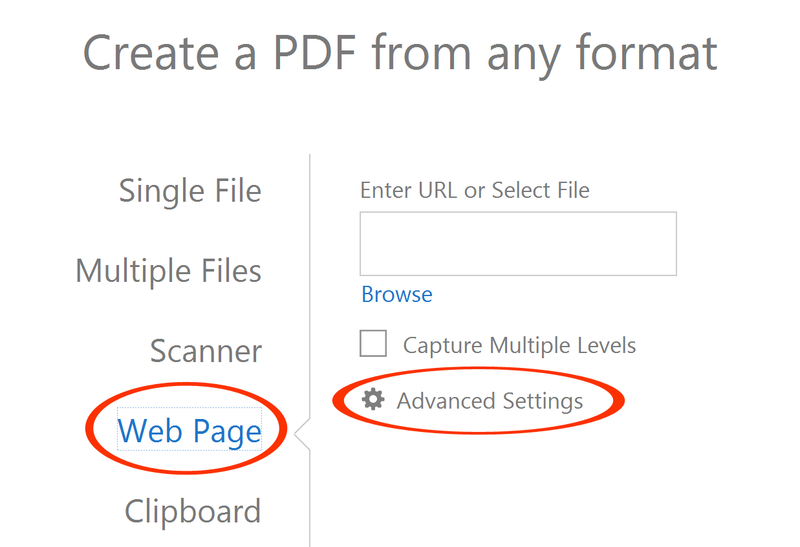 Note that Text-to-PDF conversion settings can be adjusted in the same way. Select "Tools" panel and click on "Create PDF" tool. 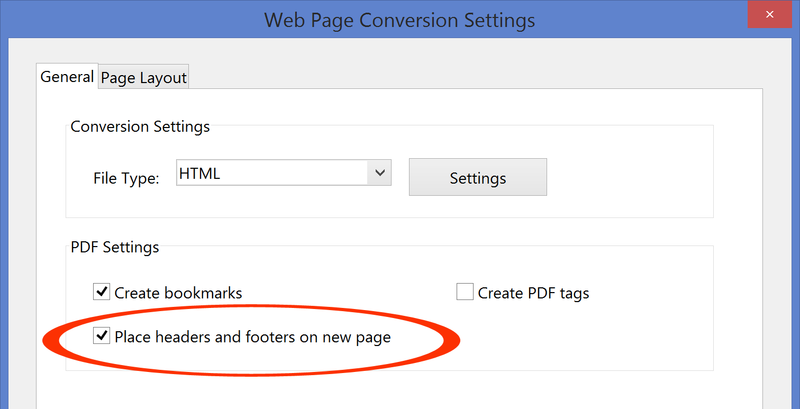 Use "Web Page Conversion Settings" dialog to set the desired conversion parameters. Note that this dialog controls settings for both HTML (*.htm, *.html) and plain Text (*.txt) file formats. It is often desired to turn off automatic printing of file paths at the bottom of every converted PDF page. Uncheck "Place headers and footers on new page" checkbox to stop adding automatic page footers. Optionally, select either HTML or Text from "File Type" pulldown menu and press "Edit" button to set default fonts, encodings, colors and other content conversion options. Press OK button to save changes. Now all files created from HTML and Text file formats will automatically use the new settings.